Love salmon? 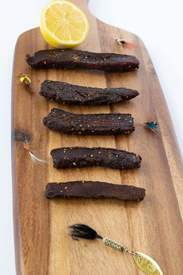 Well then you are going to LOVE this salmon jerky! This recipe has a light fish flavor with a nice smokey and salty finish. Just perfect!